Met Gala is a high annual fashion event fundraiser for the museum’s costume institute. A-list stars arrived at the Gala in spectacular gowns and suits, showcasing their unique style. The gowns adorned by the celebrities are designed by both popular and upcoming designers. Designers take weeks and months to design the gowns we see worn by celebrities. The question on our minds is, are the designers getting creative or are we seeing the same trends. So today we are not going talk about every design at the Met Gala, but about the designs that grabbed the media attention with their extraordinary style. 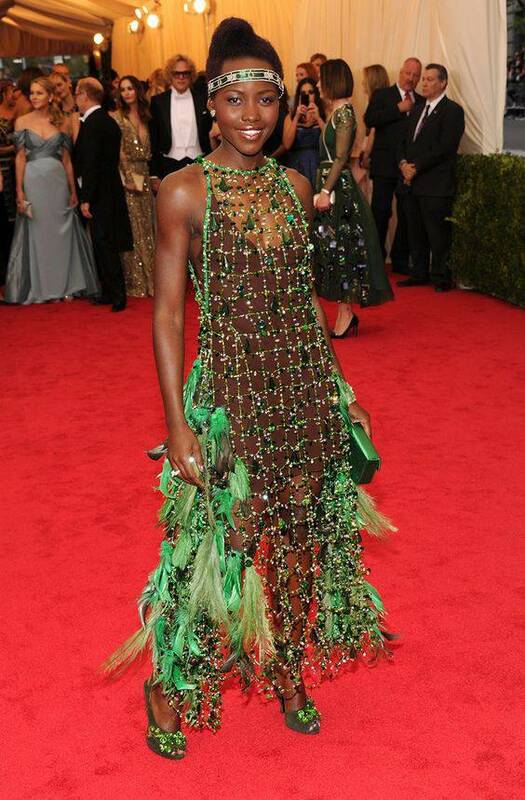 During the 2014 Met Gala, Lupita was one of the most eagerly anticipated arrivals. The anticipation was that high that her dress caused a twitter meltdown. During the 2015 Met Gala, it is this Prada Gown worn by Kerry Washington that grabbed quite some attention. The cotton candy pink gown was dramatic and majority people had the opinion that the dress was perfect for her. The plucked flower-embroidered Prada gown was the favorite for the night. Prada decided to give the satin dress a first full-fledged princess moment with a high-low hem and floor-sweeping train, as well as intricate floral embroidery. 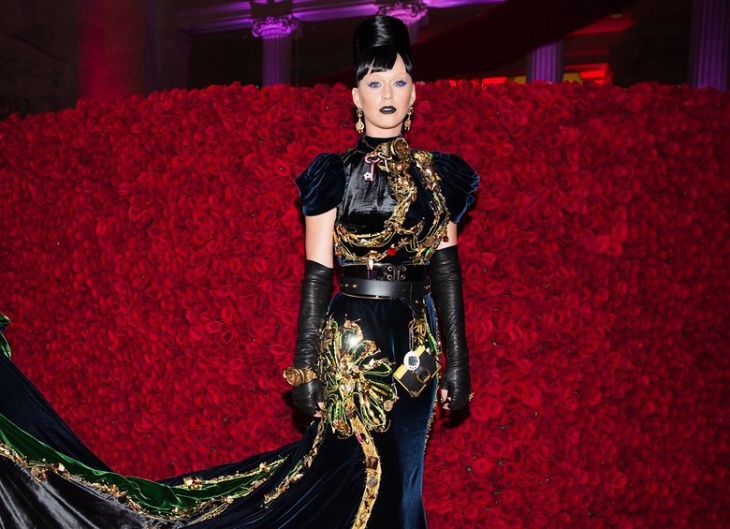 In the recently concluded Met Gala, Prada caught our attention again with this bold over the top Katy Perry dress. The star has always been known to bring over the top fashion to any event she graces. The gown embodied the gothic side of futurism with a black color combination and gold detailing. The gown was picked from Prada’s runway show and the designer came up with a bit more sketched detailing for the final look. This outfit by Givenchy in the 2014 Met Gala was one the most talked about dress of the night. The black net gown was praised for its uniqueness and the added details with a face net which was definitely something to write home about. Beyonce’s dress drew attention with her dress in last year’s Gala. So it’s no surprise that during the 2015 Met Gala, this Givenchy dress was again the talk of the town. Beyoncé arrived at the Metropolitan Museum of Art late and in an ultra-sheer, jeweled Givenchy Haute Couture gown by Riccardo Tisci. Givenchy made sure Beyoncé enviable figure showed in this custom embellished gown that left very little to the imagination. With the see-through fashion up in trend, this dress lived up to its expectation. It’s not just any see through gown, it’s about how that gown hugged her body. No surprise yet again. Beyoncé wore Givenchy Haute Couture dress at the 2016 Met Gala. The dress is distinct in its design and definitely different from the last two Gala’s. This red crop by Calvin Klein scored a ten on ten during the 2014 Met Gala. Many agreed that this was Anne Hathaway’s best look so far on the red carpet. Calvin Klein grabbed attention the moment Kendall Jenner stepped out in this outfit. The supermodel had a jaw-dropping moment in this sparkling green gown that was sleek enough to be a mermaid tail. The gown’s turtleneck silhouette, strappy side cutout details, embellished with glimmering crystals made Kendall sleek and enviable at the 2015 Met Gala. Calvin Klein definitely won hands down with this one. 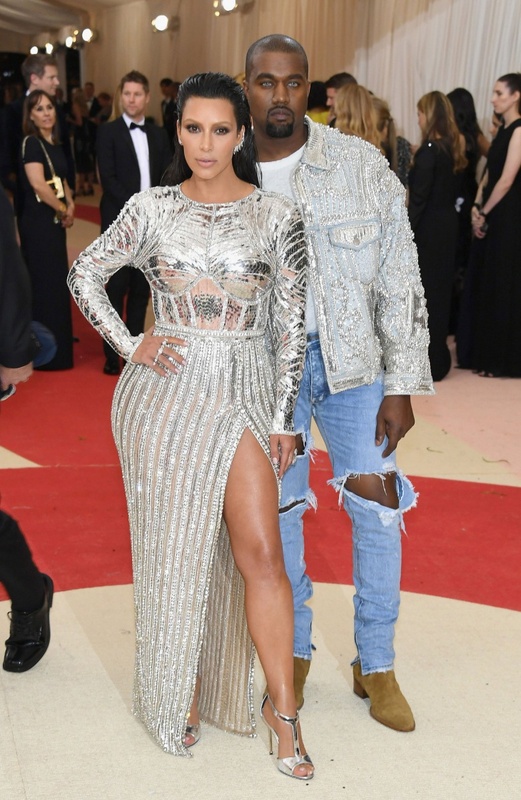 Calvin Klein managed to grab attention with two of his designs at this year’s Met Gala. The first gown was worn by Lupita Nyongo. The dress from Calvin Klein’s collection would have captured more media frenzy, probably if her hair was not tied in this vertical pillar way. Experimentations don’t always turn out good. After Lupita, the attention shifted to Emma Watson’s look. The gown was a simple pants and train. The interesting part of the gown was much more than how it looked. This spectacular red carpet outfit used recycled plastic bottles, almost entirely, proving Calvin Klein’s creativity into incorporating technology into an outfit. Plastic being one of the biggest pollutants on the planet, Emma explained on her social media how every detail of her look, from the zipper to the inner bustier is environmentally-friendly and produced with sustainability in mind. Kris Jenner skewed a red draped Balmain turtleneck gown belted at the waist, and strappy cap-toe pumps. Hot! Who better to rock a Versace gown than Donatella Versace herself. Her dress was mossy green with hexagonal bling, copper sparkles, and an ombre train. At the 2015 Met Gala, Versace won with Jennifer’s voluptuous curves on display and looking stunning in a red gown with sheer side panels. Well, Micheal Kors gowns were also talked about amongst the fashion spectators but not for the right reasons. Zoe Saldana arrived at the Met Gala in a Michael Kors pouf dress with a halter neckline. While some thought the dress was okay, the paisley/floral hybrid pattern at the bottom was a no for most. While for a designer like Michael Kors, managing to come up with two different outfits inspired by the same pattern might seem exciting, but no fashionista wants to turn up to an event especially as big as the Met in a dress nearly identical with a similar silhouette to someone else. In 2015 Micheal Kors made Kate Hudson drip in gold. The gold custom, stretch-tulle, open-back gown with gold hand-embroidered paillettes was pure radiance. The gold leaf overlay created a glamorous and gilded effect. It was all about studs for Miley Cyrus in a long-sleeve cutout turtleneck Alexander Wang gown covered in the embellishment.